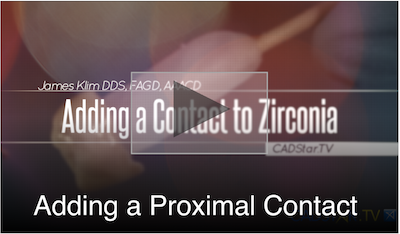 It is simple to add a contact when needed to zirconia with GC Luster Paste. Infact, this is now my go to method for all my ceramic restorations, (VITA ceramics, Empress, and e.max). It is very fast and predictable.